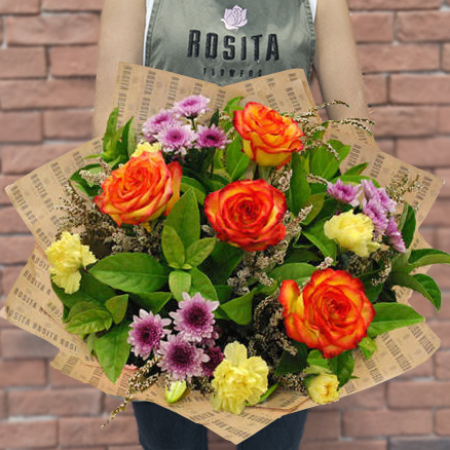 A charming bouquet featuring bright Colombian roses, seasonal florals and mixed foliage in our signature Rosita rustic paper. A bouquet with hints of orange, purple and yellow to give a sunny feeling, warm enough enough to melt any heart. Felicity is a brilliant gift for all occasions.